Airbrush tattoos are temporary tattoos that are sprayed on using a compressing air machine very similar to the one used for doing airbrush art. 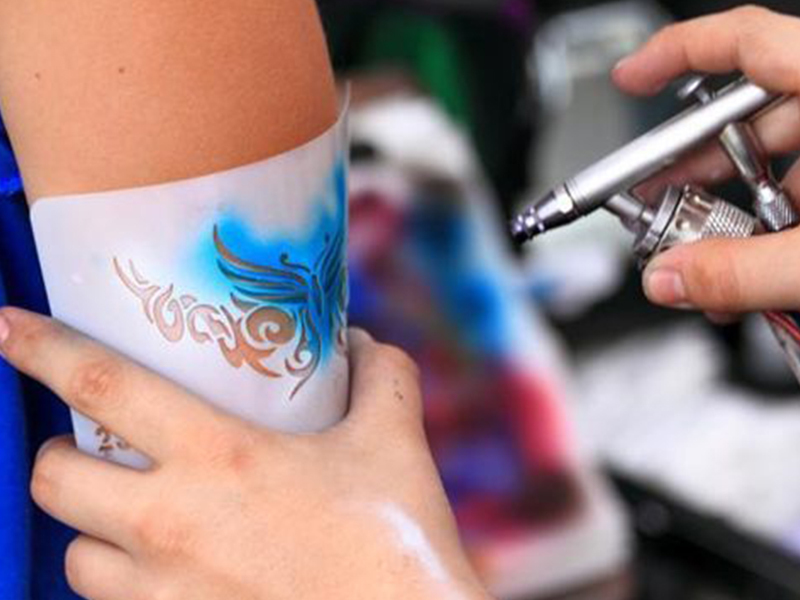 The airbrush itself is often smaller than the airbrush used for artistic purposes, and the person applying the tattoo will normally use a stencil to help create the design. The ink is safe to the skin and will drop off within a few days.